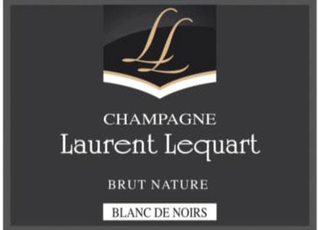 Navigate: Main Directory / All Wines (alphabetically) / Laurent Lequart Champagne Brut Nature Blanc de Noirs N.V. This wine exemplifies the growing trend towards ‘undosed’ sparkling wines – those without any added sweetness, allowing the tart grapes typical of the Champagne region to exert their own swaggering authority over this wine’s personality. This wine represents the only pure Pinot Noir made in Passy-Grigny. The curious aficionado will want to know it’s composed of 70% 2013 and 30% 2012 and 2011 in equal parts. It is a suave, vinous yet chiseled champagne – if such wines had a caste system, this wine would be of a very high class. This non-dosage champagne, mouth-watering as it is, pairs with a wide variety of foods. It’s a nice foil to goat cheeses, of course, but also compliments every fish or seafood dish imaginable as well as poultry. Hint, select a main course featuring citrus fruits as a bridge between the food and the wine – a match made in heaven.